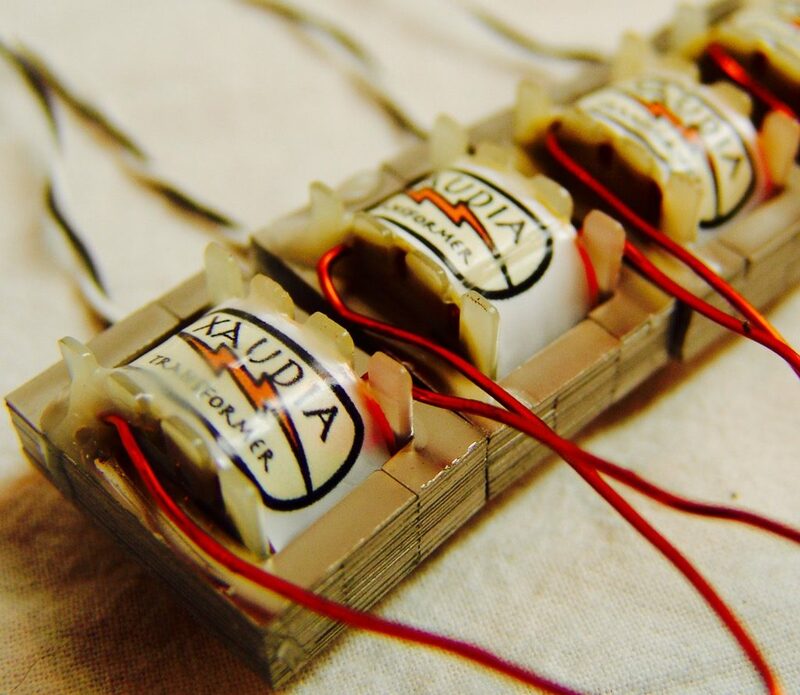 Xaudia R-series ribbon mic transformer with higher iron content than our X-series transformers. The construction is based on years of experience repairing classic British ribbon mics and is ideal for repairs and upgrades, especially for vintage models. Available in 1:28 to 1:40 ratios (R28 to R40), which will cover most ribbon microphone requirements. R32 is ideal for Reslo mics. Other ratios available on request. Please ask for recommendations for your microphone project.